The hostel is great located near train station and kust two 4 blocks away from bus station. Ist near city fown town. 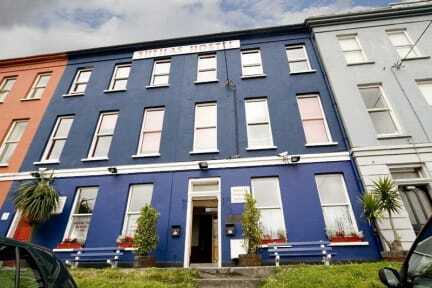 Rooms are a bit small for 6 people and but beds are ok. Bathrooms are are not so many for all people at hostel but you. Can manage to use showers and loo. Breakfast was mainly up to you.. So keepbthatbon mind although you can hace some coffee or tea. Transportation is ok at Cork in case you wanna go to Brarley Castle, bus stop is near. Sheila’s suited us for an overnight stay. Comfy beds and hot showers. Big kitchen and big dining and common area. While we were there the atmosphere was very keep to yourself. No free tea and coffee which was a bother. Good location, close to town. Location is great and staff is helpful, but rooms are stuffy and crowded and the bathrooms are dirty. The door to our hostel dorm didn’t shut properly and the sheets seemed unclean. One of the guests woke up everyone at 4am and seemed so agitated that it was very uncomfortable and a bit scary. Probably fine to stay if you are in an all-female dorm. 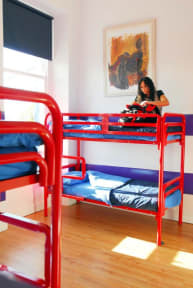 Aside from the unsavoury people in our dorm, the standard of the hostel might have been excusable if it was the price of a regular hostel, but it is expensive so it is overall just not great value for money. Not the greatest hostel. The beds were rock solid. Everything had an additional cost such as lockers and computers. The wifi barely worked. It wasnt strong to watch a youtube video. The thing that really put it over the edge was the fact that the kitchen was a total mess... dirty dishes everywhere and when we went to wash our own dishes, all of the cloths were wet so we couldnt dry them.